12/12/16 1286 Willow Ln. Consideration of a lot split City Commission Notice of Public Hearing on Monday, December 12, 2016, 7:30 PM, Municipal Building, 151 Martin, Birmingham, MI to consider spliting the existing parcel into two new parcels. 856 N. Old Woodward Consideration of a Brownfield plan City Commission Notice of Public Hearing on Thursday, October 27, 2016 7:30 p.m. at the Municipal Building, 151 Martin, Birmingham, MI to consider adoption of a brownfield plan, in accordance with the provisions of the Brownfield Redevelopment Financing Authority Act, being act 381 of the Public Acts of the State of Michigan of 1996, as amended. 10/26/2016 412 E. Frank - 420 E. Frank Rezoning request Planning Board Request to rezone 412 E. Frank (taupe building) from R3 – Single Family Residential to TZ1, rezone 420 E. Frank (Frank St. Bakery) from B1 –Neighborhood Business to TZ1 and a parcel east of 420 E. Frank Street (vacant) from B2B General Business to TZ1 – Transitional Zone. 10/26/2016 401-451 S. Eton Street Irongate Building - Revised final site plan and design review Planning Board 401-451 S. Eton Street (Irongate Building) Nature of Hearing: Application for Revised Final Site Plan & Design Review – Site Plan and Design Changes to previously approved building. 10/26/2016 2010 Cole Street (partial building) Preliminary site plan review Planning Board 2010 Cole Street (partial building). Request for site plan review for 4-story mixed use addition to existing portion of building currently under construction. The owner is requesting two variances to construct a swimming pool. The BZA meeting takes place in City Commission Room 205 on 9/13/16 at 7:30 p.m. Staff contact: Scott Worthington at 248-530-1854 or sworthington@bhamgov.org. Plans are available for review in the Community Development Dept. at City Hall. The owner is requesting two variances to construct a second floor addition. The BZA meeting takes place in City Commission Room 205 on 9/13/16 at 7:30 p.m. Staff contact: Scott Worthington at 248-530-1854 or sworthington@bhamgov.org. Plans are available for review in the Community Development Dept. at City Hall. The owner is requesting a variance to replace the driveway. The BZA meeting takes place in City Commission Room 205 on 9/13/16 at 7:30 p.m. Staff contact: Scott Worthington at 248-530-1854 or sworthington@bhamgov.org. Plans are available for review in the Community Development Dept. at City Hall. The owner is requesting two variances to construct a rear addition. The BZA meeting takes place in City Commission Room 205 on 9/13/16 at 7:30 p.m. Staff contact: Scott Worthington at 248-530-1854 or sworthington@bhamgov.org. Plans are available for review in the Community Development Dept. at City Hall. The owner is requesting a variance to construct a covered porch. The BZA meeting takes place in City Commission Room 205 on 9/13/16 at 7:30 p.m. Staff contact: Scott Worthington at 248-530-1854 or sworthington@bhamgov.org. Plans are available for review in the Community Development Dept. at City Hall. The owner is requesting a variance to build a new house. The BZA meeting takes place in City Commission Room 205 on 9/13/16 at 7:30 p.m. Staff contact: Scott Worthington at 248-530-1854 or sworthington@bhamgov.org. Plans are available for review in the Community Development Dept. at City Hall. Nature of Hearing: To rearrange the property line by adding a portion of 1058 Arden Ln to side property line of 976 Arden Ln. 33502 Woodward Jimmy Johns (vacant) Application for Design Review Design Review Board Application for Design Review to renovate exterior. Staff contact: Matthew Baka, 248-530-1848, or mbaka@bhamgov.org. 539 S. Bates- Bates Street Historic Distr. Application for Historic Design Review - Bates Street Historic District Historic District Commission Application for Historic Design Review to make alterations and construct an addition. Staff contact: Matthew Baka, 248-530-1848, or mbaka@ci.birmingham.mi.us. 912 S. Old Woodward- Retail Wine Shop Application for Design Review Design Review Board Application for Design Review to renovate exterior. Staff contact: Matthew Baka, 248-530-1848, or mbaka@bhamgov.org. 277 Pierce Historic Design Review for 277 Pierce Historic District Commission Request for permission to demolish existing structure. 856 N. Old Woodward (vacant land) Application for Final Site Plan & Design Review for new construction of a four-story mixed use building Planning Board Application for Final Site Plan & Design Review for new construction of a four-story mixed use building at 856 N. Old Woodward (currently vacant land). City staff contact: Jana Ecker, 248-530-1841 or jecker@bhamgov.org. Approved minutes may be reviewed at the Community Development Office. 280 Argyle Request for variance to construct a rear addition to the existing home. Board of Zoning Appeals The owner is requesting a variance to construct a rear addition to the existing home. The BZA meeting takes place in City Commission Room 205 on 7/12/16 at 7:30 p.m. Staff contact: Scott Worthington at 248-530-1854 or sworthington@bhamgov.org. Plans are available for review in the Community Development Department at City Hall. 570 Aspen Request for variance to construct a new detached garage. Board of Zoning Appeals The owner is requesting a variance to construct a new detached garage. The BZA meeting takes place in City Commission Room 205 on 7/12/16 at 7:30 p.m. Staff contact: Scott Worthington at 248-530-1854 or sworthington@bhamgov.org. Plans are available for review in the Community Development Department at City Hall. 1391 Humphrey Request for variance to construct a second floor addition over existing footprint. Board of Zoning Appeals The owner is requesting a variance to construct a second floor addition over existing footprint. The BZA meeting takes place in City Commission Room 205 on 7/12/16 at 7:30 p.m. Staff contact: Scott Worthington at 248-530-1854 or sworthington@bhamgov.org. Plans are available for review in the Community Development Department at City Hall. 1510 W. Lincoln Request for variances to construct a new home. Board of Zoning Appeals The owner is requesting variances to construct a new home. The BZA meeting takes place in City Commission Room 205 on 7/12/16 at 7:30 p.m. Staff contact: Scott Worthington at 248-530-1854 or sworthington@bhamgov.org. Plans are available for review in the Community Development Department at City Hall. 6/27/16 100 Townsend Townsend Hotel (formerly Corner Bar) City Commission To consider an amendment to the Special Land Use Permit and Final Site Plan to convert the Corner Bar into a private reception and special event space. City Staff Contact: Jana Ecker 248-530-1841. 100-450 Woodland Villa Court (existing townhomes) Final Site Plan and Design Review Planning Board Final Site Plan & Design Review to allow the installation of a mechanically operated gate across the driveway at the front of the property located at 100-450 Woodland Villa Court. 1547 Washington Request for variance Board of Zoning Appeals The owners of the property known as 1547 Washington request the following variance to allow for the construction of a detached garage closer to an adjacent principal structure. The BZA meeting takes place in City Commission Room 205 on 6/14/16 at 7:30 p.m.
856 N. Old Woodward Request for variance Board of Zoning Appeals The owner is requesting a variance for a fourth floor of residential where 3 floors are permitted. The BZA meeting takes place in City Commission Room 205 on 6/14/16 at 7:30 p.m.
6/14/16 1290 Lakeside Request for variance Board of Zoning Appeals The owners of the property known as 1290 Lakeside request the following variance to allow for the construction of a house addition less than the required minimum front and side yard setbacks, distance between principal residential buildings, allowable overhang projection. The BZA meeting takes place in City Commission Room 205 on 6/14/16 at 7:30 p.m.
6/15/16 912 S. Old Woodward Application for Design Review - Exterior Renovation of Retail Wine Shop Design Review Board Application for Design Review - Exterior Renovation of 912 S. Old Woodward - Retail Wine Shop, 6/15/16 7:15 p.m. Contact Matthew Baka, 248-530-1848 or mbaka@bhamgov.org for more information. Street, Parcel #1925451021, lots 66 and 67 of Oak Grove Addition from R-2 Single Family Residential to TZ-1 Transitional. 835-909 Haynes Lavery Porsche/Audi Dealership Special Land Use Permit Amendment City Commission To consider an amendment to the Special Land Use Permit and Final Site Plan to allow for the use of the first floor of 909 Haynes as offices for the Audi dealership for one year only. 6/15/2016 166 W. Maple – Caruso Caruso Historic Design Review for 166 W. Maple Historic District Commission Notice of Public Hearing regarding renovations to the façade – new windows, design elements, signage. 5/23/16 1525 Chesterfield Proposed Lot Split of 1525 Chesterfield "Quarton Heath" City Commission Notice of Public Hearing for proposed lot split of 1525 Chesterfield, Parcel #1926126008, Lot 1, "Quarton Heath" a subdivision of part of the east 1/2 of the northwest 1/4 of section 26, town 2 North, range 10 east, Bloomfield Township (now City of Birmingham), Oakland County, Michigan as recorded in Lieber 56 of plats, page 45 of Oakland County records. Proposal to split the existing parcel into three new parcels. 404 Park Rezoning Request for 404 Park, Parcel No: 19-25-451-021 (vacant) Planning Board Request to rezone 404 Park Street from R2 (Single Family Residential) to TZ1 (Transition Zone). Plans are available for review at the Community Development Department. City Staff Contact: Jana Ecker 248-530-1841. 191 N. Chester (Former First Church of Christ, Scientist) Rezoning Request & Preliminary Site Plan Review for 191 N. Chester (Former First Church of Christ, Scientist) Planning Board Request to rezone 191 N. Chester from TZ1(Transition Zone) to TZ3 (Transition Zone), and request for Preliminary Site Plan approval for a second story addition to the existing building. Plans are available for review at the Community Development Department. City Staff Contact: Jana Ecker 248-530-1841. 100 South Old Woodward 100 S. Old Woodward Ave. Building Project N/A Please note the 100 S. Old Woodward Ave. building project is at a critical point that will require the operation of a crane on Maple Rd. for a one week period, starting Monday, April 18. During this period, Maple Rd. will be narrowed to two through lanes from Pierce St. to just east of Old Woodward Ave. View the project notice for important changes that will impact the public. 34965 Woodward Ave. (currently Peabody's Restaurant) Consideration of a Brownfield Plan City Commission Notice of Public Hearing Monday, April 25, 2016 7:30 p.m. at the Municipal Building, 151 Martin, Birmingham, MI to consider adoption of a Brownfield Plan, in accordance with the provisions of the Brownfield Redevelopment Financing Authority Act, being Act 381 of the Public Acts of the State of Michigan of 1996, as amended. 4/25/16 221 Baldwin Proposed Lot Split City Commission Proposal to divide existing parcel into two parcels. 3/22/16 660 North Old Woodward - Public Parking Lot 6 Public Parking Lot 6 Sewer Project N/A The Oakland County's Water Resources Commissioner's (OCWRC) Office released an update regarding the upcoming sewer project at Public Parking Lot 6. The project will begin next week and the contractor has begun preliminary work in the area. Download the update and map to learn about the scope of the project, including time frame, traffic flow and alternate parking locations for monthly permit holders. For more information regarding this project, contact the OCWRC at 248-858-1105. Completed Repair and maintenance of this property will begin soon to install new curtain walls over the existing walls already in place. Due to the size and height of the building, large cranes may be used, and some of the areas surrounding the property may be intermmitently closed. Please use caution and be aware of construction designated areas for your safety. To see the plans, go to the Planning Board agenda for July 8, 2015. Completed The final site plans have been approved and renovations will begin soon on this property. Prior approvals were completed last year. To view the plans, go to the Planning Board agenda on 4/8/15. Completed Demolition will proceed as planned on the current building. Site plan approval has been granted. Construction drawings are in the review process. To view the final site plans, go to the Planning Board agenda on 9/30/15. 835/909 Haynes Fred Lavery Porsche - Temporary Special Land Use Permit Amendment and Revised Final Site Plan Review to expand the Special Land Use Permit. Planning Board Temporary Special Land Use Permit Amendment and Revised Final Site Plan Review to expand the Special Land Use Permit at 835 Haynes (Fred Lavery Porsche) to include 909 Haynes to allow the temporary use of 909 Haynes for Fred Lavery automobile sales for a maximum of one year. 555 S. Old Woodward The Triple Nickel Restaurant - Application for a Special Land Use Permit Amendment and Revised Final Site Plan Review to allow the expansion of the outdoor dining area and the addition of a platform for outdoor dining on S. Old Woodward. Planning Board Application for a Special Land Use Permit Amendment and Revised Final Site Plan Review to allow the expansion of the outdoor dining area and the addition of a platform for outdoor dining on S. Old Woodward. Proposed Lot Rearrangement City Commission To rearrange the property line by adding a portion of 1366 Haynes Ct. to 725 S. Adams. There will be an informational meeting on the Poppleton Park Concept Plan at 6:30 on Dec. 8, 2016 in the City Commission Room of City Hall at 151 Martin St. Everyone is invited to review the plans, and may view it online at: www.bhamgov.org/poppletonpark. Minor structural repairs will be made throughout the N. Old Woodward Parking structure. The work will begin Oct. 26, 2016 and will take about 2 weeks. There will be minimal disruption to parking space availability. For more information, go to Parking Structure Repair Project - N. Old Woodward. Birmingham Amtrak Station Demolition Engineering Department The Birmingham Amtrak Station Demolition Project has begun. A small area at the end of Villa Ave. will likely have a temporary No Parking ban to allow room for the contractor to manipulate equipment in and out of the site. Work hours will be between 7 a.m. and 7 p.m. Proposed amendment to City Zoning Ordinance Chapter 126 City Commission To consider an amendment to the Zoning Ordinance, Chapter 126: To amend Article 04 Development Standards, Section 4.90, WN-01(window standards) to alter the required glazing on commercial buildings. To amend Article 07 Architectural Design Requirements, Section 7.05, requirements. A complete copy of the proposed ordinance amendment may be reviewed at the City Clerk’s Office. City Staff Contact: Jana Ecker at 248.530.1841 or jecker@bhamgov.org. The City of Birmingham was issued a permit by the Department of Environmental Quality (MDEQ) for performing aquatic nuisance plant control at Quarton Lake using the following approved aquatic herbicides - Tribune (diquat DiBromide) and Clipper (Flumioxazin). Tri-County Aquatics, Inc. will be performing a treatment on Wednesday, June 29, contingent upon the weather. For more information, visit www.bhamgov.org/quartonlake or contact the Department of Public Services 248.530.1700. W. Maple Road from Cranbrook to Southfield Rd. Consideration of the West Maple Road trial restriping project will be conducted during the July 11th City Commission meeting which begins at 7:30 p.m. in Commission Room 205 at City Hall. The 4 lane road from Cranbrook to Southfield was restriped to 3 lanes in October 2015, and the City has been evaluating the changes based on five criteria: average speeds, traffic volumes, cut-through traffic, travel time comparisons, and accident data. The Commission will review pre- and post-conversion data before making a final determination on the lane configuration for the road. 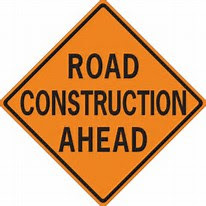 West Maple Road is scheduled for road resurfacing as part of the City’s on-going infrastructure improvement program. For more information, go to www.bhamgov.org/westmapletrial. Go to the announcement for the West Maple Road resurfacing project for the schedule and further details on the phases for the project. Review of proposed new construction of the Chesterfield Fire Station. Plans are available for review at the Community Development Department. City Staff Contact: Planning Director Jana Ecker, 248-530-1941 and Fire Chief John Connaughton, 248-530-1900. Courtesy review of proposed new construction of the Chesterfield Fire Station. Plans are available for review at the Community Development Department. City Staff Contact: Jana Ecker 248-530-1941. Request to amend the final site plan and special land use permit to allow for the installation of an on-street outdoor dining platform. 5/9/16 Webster Avenue Webster Avenue Paving Project Area City Commission Public Hearing of Necessity (4/25) and Public Hearing of Confirmation (5/9/16) for a Special Assessment District for the installation of sewer laterals. 4/11/16 & 4/25/16 Hamilton Avenue Paving Project Area Hamilton Avenue Paving Project City Commission Public Hearing of Necessity (4/11) and Public Hearing of Confirmation (4/25) for a Special Assessment District for the installation of new street lights where none currently exist. 2/11/2016 Parts of Villa, Hazel, Bowers, and Haynes. Download the Villa & Yankee Plan, and the Haynes & Torry Crosswalk Plan. Intersection Improvements in the Torry Neighborhood Multi-Modal Transportation Board Invitation to the Multi-Modal Transportation Board meeting. 2/11/2016 Multiple streets as shown on the Bike Route map. Neighborhood Connector Route Multi-Modal Transportation Board Invitation to the Multi-Modal Transportation Board meeting. 2/22/2016 3/14/2016 Hamilton Avenue from North Old Woodward to Woodward Avenue and Park Street from Hamilton Avenue to East Maple Road Hamilton Avenue Paving Project City Commission Public Hearing of Necessity (Feb. 22) and Public Hearing of Confirmation (Mar. 14) for a Special Assessment District for the installation of sidewalk streetscape. 2/22/2016 3/14/2016 Hamilton Avenue Paving Project Area Hamilton Avenue Paving Project City Commission Public Hearing of Necessity (Feb. 22) and Public Hearing of Confirmation (Mar. 14) for a Special Assessment District for the installation of lateral sewers. 1/26/2016 Hamilton Avenue, plus sections of North Old Woodward and Park Street Hamilton Avenue Paving Project N/A The Hamilton Avenue Paving Project's goal is to completely renew the corridor, with a new sewer and water main, new concrete street, new sidewalks and new street lights. or review the proposed Storm Water Utility Fee Ordinance. 11/8/16 Election - Notice of Election Election - Notice of Election City Clerk's Office Notice is hereby given that the General Election will be held in the City of Birmingham, County of Oakland on Tuesday, November 8, 2016 from 7:00 AM to 8:00 PM . Notice is hereby given that a Public Accuracy Test for the November 8, 2016 General Election has been scheduled for Wednesday, November 2, 2016 at 10:30 AM in conference room 202 of the Municipal Building, 151 Martin, Birmingham. Notice is hereby given that the last day to register for the November 8, 2016 General Election will be Tuesday, October 11, 2016. To consider an amendment to the Zoning Ordinance, Chapter 126 regarding height in the MX District. To consider amendments to the Zoning Ordinance, Chapter 126 regarding outdoor storage and display standards. The City of Birmingham is accepting bid proposals from qualified service providers to manage and administer a public services program for yard services and senior services for qualified low and moderate-low income residents of the City of Birmingham for the program year July 1, 2016 through June 30, 2017. The City of Birmingham operates its public facilities, including streets, in accordance with the requirements of the Americans with Disabilities Act (ADA). The City will soon revise its ADA policy due to upcoming changes in the federal ADA law. Early this year (April through June), as the weather allows, ALL blocks within the Central Business District would be modified to include the minimum number of marked, reserved accessible spaces in accordance with the new ADA law. Download the suggested plan for where the spaces will be located. SB Woodward south of Maple Rd. Michigan Department of Transportation (MDOT) crews are currently working on catch basin repairs on southbound Woodward south of Maple Rd. This work may affect traffic in the southbound lanes of Woodward during rush hour traffic. The two turn arounds at Bowers and Haynes will be closed for approximately 2-3 days, depending on the repairs. Vehicles travelling southbound on Woodward who wish to go north must continue south to an open turn around. Seek an alternate route ahead of time if possible. For general inquiries, contact MDOT at 517-373-2090, or the Metro Region at 248-483-5100. DTE Work Planned on Yosemite, Adams & E. Maple Rd. DTE Energy Co. is planning an important upgrade to their system in Birmingham in the coming weeks. The following is an approximate schedule of the utility work DTE has planned. Please be prepared to use alternate routes around these areas. The first 100 ft. east of Adams Rd. will be closed for manhole and conduit construction. All traffic on Yosemite Blvd. will have to enter from Columbia Ave. Starting at Yosemite Blvd. and moving north, conduit will be installed along the east edge of Adams Rd., crossing Maple Rd., and then proceeding north about 200 ft. (south of Knox Ave.). Two way traffic will be maintained, but there will be times when left turns onto or off of Adams Rd. will be restricted. Since the Adams Rd. conduit described above must cross Maple Rd., traffic lanes will be reduced on Maple Rd. as well. Traffic will be reduced to one lane in both directions, and left turns on to Adams Rd. will at times be restricted. For more information or concerns about the project contact DTE at 1-800-477-4747, or email www.dteenergy.com. Grand Trunk Western Railroad Company (GTW) hereby gives notice that it has filed an Antenna Structure Registration application, Form 854 File No. A1042516, with the Federal Communications Commission (FCC) for the construction of a 65-foot antenna foldover monopole adjacent to GTW's tracks approximately 950 feet southeast of the overpass crossing of East Maple Road in Birmingham, Oakland County, Michigan. The pole will not include lighting. Interested persons may review the application by going to www.fcc.gov/asr/applications and entering the Form 854 file number, and may raise environmental concerns about the structure by filing a Request for Environmental Review with the FCC. Instructions for making such filings can be found at www.fcc.gov/asr/environmentalrequest, and the FCC strongly encourages interested parties to make such filings online. The mailing address for interested parties that would prefer to file by paper copy is: FCC Requests for Environmental Review, Attn: Ramon Williams, 445 12th Street, S.W., Washington, DC 20554. Those with questions may contact GTW's representative, Mike O'Connell, at (708) 332-6739. DTE Energy has hired a contractor to install an underground conduit on parts of Villa Ave. and Columbia Ave. The conduit will be used to bring power from a substation currently under construction in Troy between the railroad tracks and Doyle Dr., eventually to downtown Birmingham. The crew is currently working on Villa Ave. east of Eton Rd. That work will continue until about next Tuesday, when they will cross the Eton Rd. intersection, and proceed westerly to Columbia Ave. Work will also extend north and south on Columbia Ave. from north of Villa Ave. to south of Bowers St. The total job is estimated to take about six weeks. This work is independent of the sewer project already underway on Villa Ave. to the west of Columbia Ave. When work is underway, street parking will not be allowed, and access will only be allowed to local driveways. Through traffic will be asked to find an alternate route. Two lanes will remain open on Eton Rd. Consumers Power is going to close Saxon Drive, west of Beaconsfield for a valve repair from July 20- August 5, 2016. The detour will be south on Beaconsfield to west on Riverside. Access to residences will be maintained throughout the closure. Consumers Energy will mobilize a crew the week of April 25, 2016 to install new gas mains on the streets listed. The work will include boring new mains, installing new services up to the meter on all older homes, disconnecting the old gas mains, followed up by lawn and sidewalk restoration. Most pipe will be bored, so damage at the surface will be minimized. For questions on the project, contact the Engineering Department at 248-530-1840. Consumers Energy expects to close Big Beaver Road between Kensington and Adams roads on April 12 until mid to late November as part of the ongoing utility relocation work on Big Beaver between Woodward and Adams. At the same time, Kensington Road will be closed to through traffic between Big Beaver and Wattles roads. For more information, download the project notice. DTE will be starting work on a large underground conduit which will be installed in this neighborhood. Although a start date has not been set, it is estimated to be underway in April. Local traffic will be obstructed on these streets while the work is underway. See attached map for the areas involved by clicking on the notice date. The Road Commission for Oakland County (RCOC) will close Big Beaver Road between Woodward Ave. (M-1) and Adams Road in Bloomfield Township and Birmingham on Thursday, March 3, for permitted utility relocation work that will be done by Consumer's Energy. DTE Energy is planning to install large underground conduit and manholes in the listed areas impacted, tentatively in April. Lane closures and turn restrictions will be in effect for both Maple Rd. and Adams Rd. in these impacted areas. 2/17/2016 Webster Ave,, Glenhurst Dr., Larchlea Dr., Westchester Consumers Energy will be updating natural gas pipelines in these neighborhoods starting March 1st. Contact MISS DIG at 811. Lane closures on E. Maple due to water main repair E. Maple between Elm and Woodward Ave. In order to repair a broken water main under E. Maple, traffic will be reduced to one lane in each direction between Elm and Woodward starting around 9 a.m. on Friday, Dec. 30. Estimated completion is 3 p.m. Expect traffic delays in the area and seek an alternate route if possible. UPDATE: The fire at the 555 Building is out; there are no injuries. All northbound lanes are open; two southbound lanes on Woodward are also open. On Thursday, December 22 at approximately 10:15 a.m., the Birmingham Fire Department received a fire alarm at the 555 Building, South Tower. Upon arrival, firefighters observed a working fire near the 14th floor on the south end of the building. The building is currently being evacuated and there are no reported injuries at this time. The Birmingham Fire Department is being assisted by several local fire departments in putting out the fire. The 555 Building is currently under construction for a remodeling project. The cause of the fire has not yet been determined. Northbound and southbound lanes on Woodward Avenue are closed near the fire scene. Northbound Old Woodward is also closed from Maple to Lincoln. All motorists are advised to seek an alternate route. Additional information will be made available as the situation unfolds. Update: As of 11:40 a.m. today, the fire has been contained and extinguished. Smoke is diminishing. Fire crews are still managing the scene. There has been a 6" water main break affecting Penistone, Torry and Humphrey. Crews have been working on the site since 11 a.m. and will restore service as soon as possible. We have a 12" water main break at 2436 W Lincoln St., and Seaholm High School will not have water until repairs are made. We have informed the principal for Seaholm High School, and they canceled class today, Seaholm High School is the only place affected by this break. The repair crews are on site to start our repair process. The City of Birmingham has declared a Snow Emergency Parking Ban for residential streets only beginning at 2:00 a.m. on Monday, December 12. It will remain in effect until all streets are completely plowed. During the ban, it is a civil infraction to park a vehicle or allow it to remain parked on any City roadway until the roadway has been cleared of snow. Illegally parked vehicles will be ticketed and may be towed, and the registered owner of such a vehicle will be responsible for the towing cost. Please do not shovel snow into the road or onto someone else's property. For more information, contact the Department of Public Services at 248-530-1700. Ask for identification. Pull out your most recent DTE Energy bill and ask the caller to tell you the account number and the amount due. If you have caller I.D., the display will indicate that the call is from DTE Energy. If you suspect the call may be fraudulent, hang up and call us toll-free at 800.477.4747. Ask to be connected to a customer service representative who can confirm the status of your account and make appropriate arrangements for payment, if needed. If you have received a call of this nature and believe you are the victim of fraud, contact your local police immediately. The web is increasingly being used to commit fraud and identity theft. Scammers use e-mail, text messaging and social media sites, such as Facebook and Twitter. Never give out personal information, including Social Security, bank account or credit card numbers over the Internet to someone you do not know. If you suspect you have been fraudulently contacted, call us at 800.477.4747 to speak with a customer service representative who can confirm the status of your account and make appropriate arrangements for payment, if needed. If you believe you are the victim of an online scam, contact your local police immediately. Thank you for helping us keep you and your chamber partners safe and aware of these fraudulent activities. Oakland County Health Division and Wayne County Wellness Services Division, in coordination with the Michigan Department of Health and Human Services (MDHHS), have identified Hepatitis A infection in a food service worker at the Social Kitchen and Bar located at 225 E Maple Road. According to the MDHHS, those who consumed food or beverage at the restaurant between July 27, 2016, and Aug. 6, 2016, should promptly contact their healthcare provider to receive vaccination. Zack Sklar, owner of Peas and Carrots Hospitality, owner of Social, said, "The health department did a full audit, and we are 100 percent health department compliant. We are open, operating, and clean." View the MDHHS press release for more information regarding this. The Birmingham Police Department is seeking help with identifying a suspect who recently stole a wallet at 220 Restaurant in Birmingham. Download the press release to view a photo of the suspect.